Fusion is a combination of people, processes, and programs that harnesses the untapped potential of data to enable a broad range of business decisions. Not all data that are important to business decisions live in one place. Not all data that are important are in a conveniently usable form. Fusion overcomes these obstacles to transform data in ways that power business decisions at a whole new level. Fusion helps organizations combine data from a variety of sources, both internal and external, into useful collections and structures. This helps make processes, searches and analyses more efficient - letting your people focus on using your information, rather than untangling complex data silos. 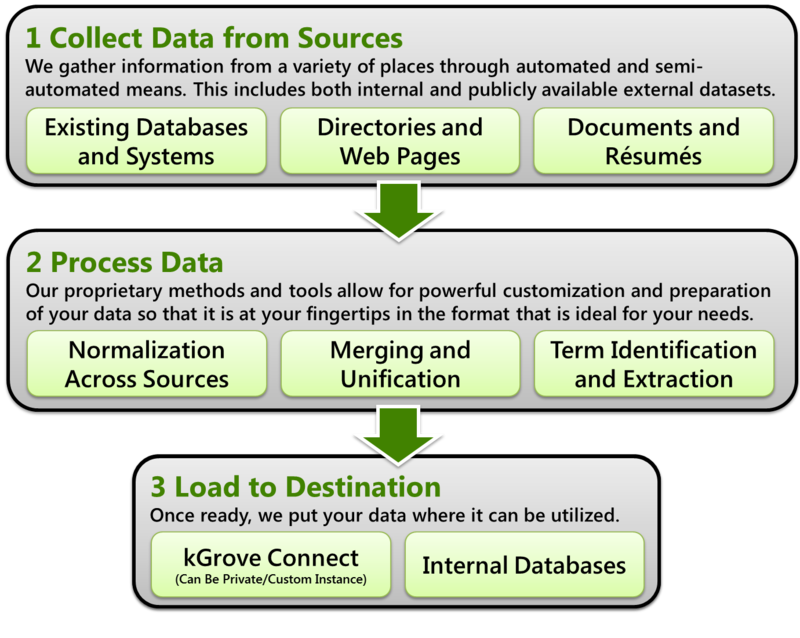 We can collect, untangle and combine data from a variety of sources into one repository for easier access and use. These data don't have to be structured or organized already - Fusion helps you get there. Fusion's powerful capabilities can be applied toward the creation of a state-of-the-art faculty expertise directory even if we only have a collection of resumes to begin with.